One size doesn't necessarily fit all when it comes to your suppliers' product data. Catalog Manager provides you with the tools needed to make your suppliers' products your own. 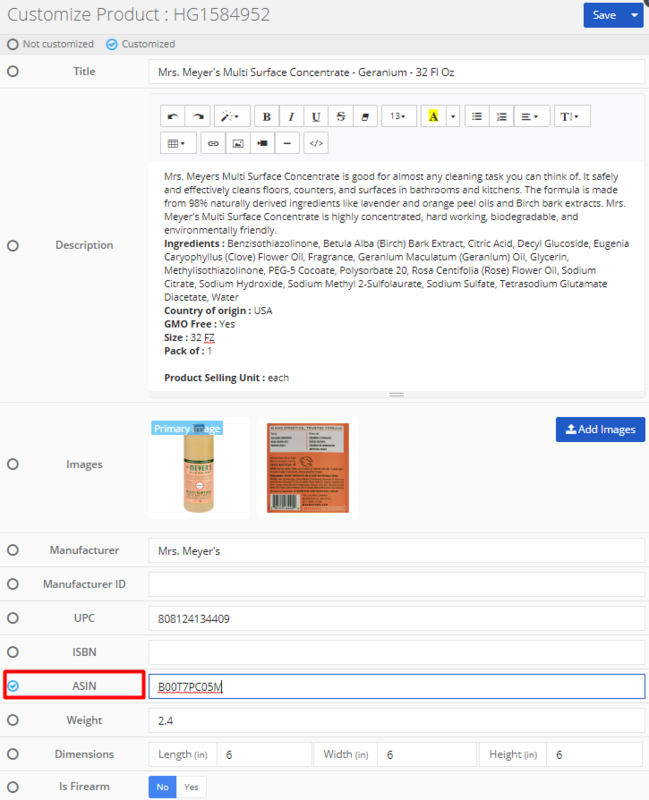 With the customization tool, you can modify products to fit your business' unique style by enhancing descriptions, editing product titles, adding eye-catching product images and more. Note: You can customize products either in the Queue or in the Catalog. Once your products have been customized and added to the Catalog, you'll see the changes reflected after your next scheduled update runs. Here you can upload your .csv file. 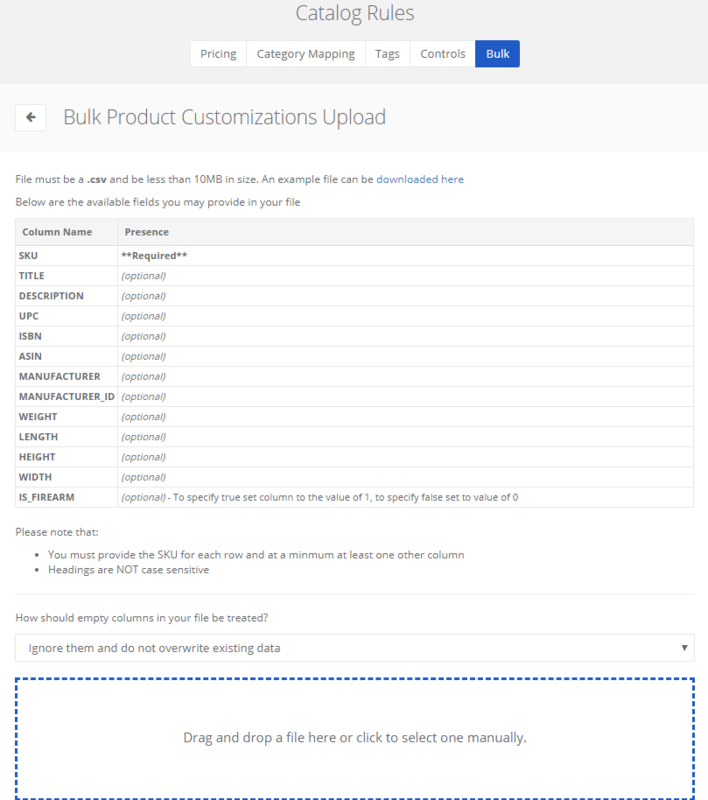 There is a template provided under the "Bulk" tab that you can download and edit to use as a guide to creating your product file. Note that the file size should not exceed 10MB. When products are loaded to Amazon, they are loaded by UPC and Amazon then assigns product details to the loaded product. No matter what data we send to Amazon they will load their own data if they have the UPC stored in their database. In some cases Amazon "assigns" the product you've loaded to the wrong Amazon ASIN. An Amazon ASIN is the unique identification number that Amazon has created for internally identifying products. This is more common in products that come in different sizes and variations of the products. 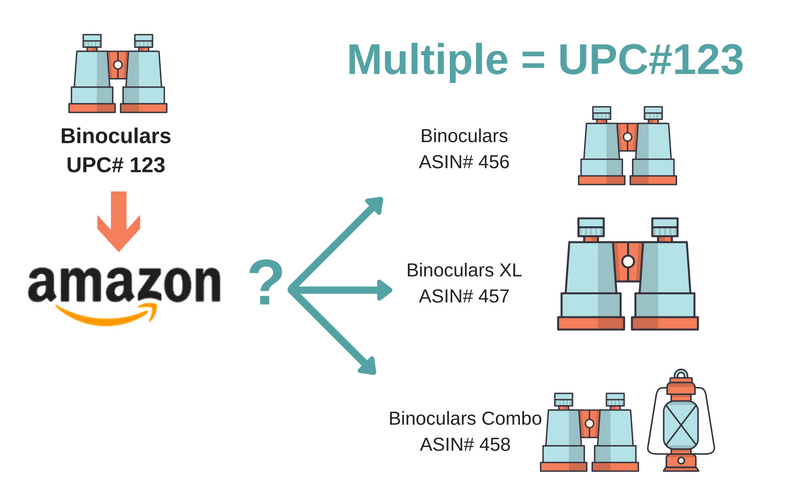 For example, Amazon can often have the same UPC stored for a pair of standard binoculars, the XL binoculars that are more expensive, and the combo pack that is much more expensive. More specifically, Amazon will take the UPC and choose an ASIN that it has determined to be most fitting. If you find that your product has been assigned an incorrect ASIN in Amazon, you can reconcile this using the product customization tool. Be sure to save your changes when finished. You'll see the ASIN matches up correctly once the next update runs. *Note that some suppliers may not support variations in their feeds. When will I see the changes on my store? Your changes will be reflected after your next update runs. Do I need to schedule a full update to make these changes? No. Your standard update will push the changes. When editing a product with variations, do I have to edit each associated child product? No. Your customizations will apply across the board for all variations of a product. Why would I need to change my ASINs? In some cases Amazon "assigns" the product you've loaded to the wrong Amazon ASIN. Adding the correct ASIN to a product will ensure your products are being accurately listed on Amazon.